Best Possible Feedback in the Least Possible Time! Our flexible and intuitive 360-degree feedback software is simple to implement and yet delivers a powerful and professional 360 Degree Feedback Report. Use 360 degree survey for monitoring personal development, engaging your people and improving workplace culture. Save time and resource with employee and leadership behaviour management with 360 Degree Internal Feedback, focus more on building the strategies to follow and coaching your people! Get started now with a free online demo and project consultation. Or test your Competency Framework and download our sample reports – also free of charge. Our 360 Degree feedback reporting timeline can be far more flexible, allowing survey to go live as soon as respondents are selected, and we have a professional system to help chase incomplete questionnaires too! User Focused. The end user experience is intuitive and simple, resulting in lower support overhead and higher responder rates. Fast Set Up. Standard templates, together with the streamlined set up and communication features typically enables complete projects to be set up in 30 minutes or less. Automatic Project Management. Once a project has been set up, no further intervention is needed through to report generation. Completely Customisable. Our 360 report software can create all types of questionnaire and report, for any kind of audience. Your Branding and Logo. We can tailor the look and feel of your installation so that it integrates seamlessly with your site and brand, providing a consistent user experience and helping you to look bigger than you are! Common sense English, not management speak. From competences, attributes to questionnaires and communications have all been edited and approved by the Plain English Society. Designed for HR Consultancies. Our 360 report software has been designed so that individual HR Consultancies like yours can extend their offering without stretching resource. It provides you with the capability to service multiple clients, and allocate internal or external resource to manage individual client projects. We are your partners never your competitor. CR Systems do not provide consultancy services; we work with and provide services for HR consultants. We are happy to recommend consultancies for any particular aspect of competence framework development, personal and group development, coaching and mentoring. Clearly presented in complete blocks. Understand and learn the results in a time-efficient manner. Easy to follow. 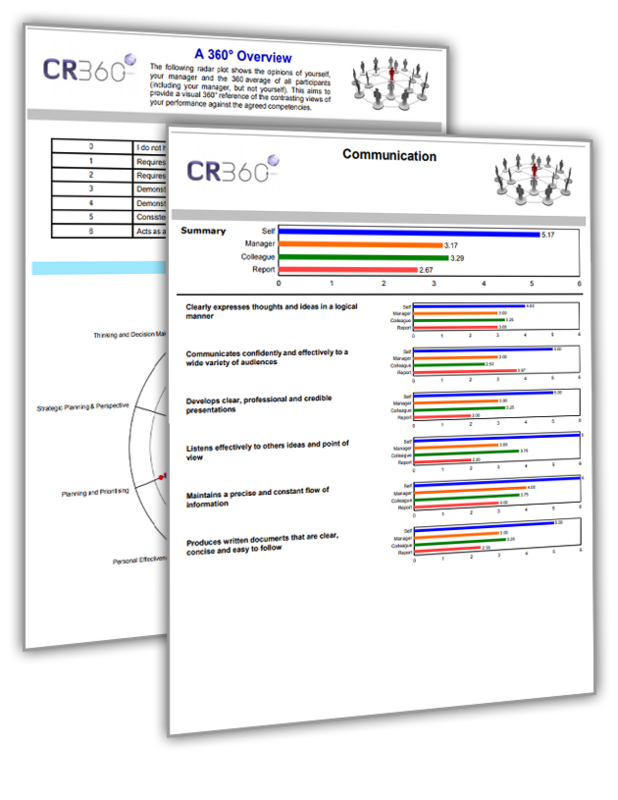 Our 360 Degree Feedback Report has an intuitive design with linear drill down from Macro to Micro data. Supporting workbooks, and process flow options together with a simple traffic light system. Flexible reporting features that allow you to choose any combination of demographic variables to be included in the report. However our standard report is considered so good that it is used by over 90% of our clients. Professional assistance all the way. Our technical support team and behaviour analysis expert reviews the outcome beforehand and stands by for any help needed. Isn’t it dangerous to be clueless of how the organisation you lead think about you? 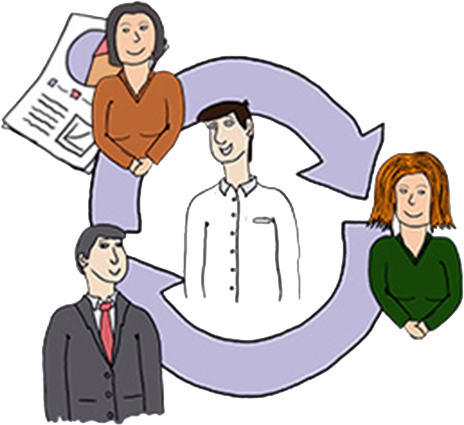 CR Systems understand the concerns around the ever increasing pressure on boards to “comply or explain”, in response we have developed a simple three step process that enables boards to grow through the process of development. You are at the top of your organisation but do the people who work for you believe you care about the workplace culture or just the profits? By running a 360 Degree Feedback you will have the opportunity to create transparency and use it strategically for better management and leadership! Do you desire to bring your career to the next level? Have you the potential of being an outstanding leader? Find out what makes you successful and be aware of what you need to develop. CR Systems provides the tools and tests to help you take charge of your behaviour and people relationships, we will be happy to see you at the top! Email technical support with next working day response. Email technical and user support with a next working day response. Email technical and user support with 4 hour response. Dedicated telephone technical and user support with 2 hour response. 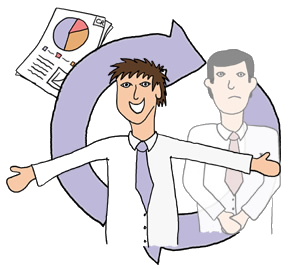 More About 360 Degree Feedback? 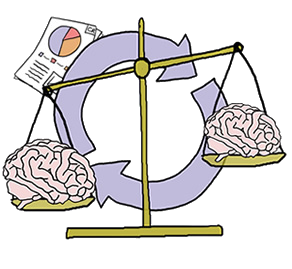 The benefits of 360 Degree Feedback are not just about reviewing competencies and leadership development. By gathering feedback in 360 degrees, you will open up doors to recognise the individual’s’ behaviour and personality, which can then be adjusted and trained so to add value and strive to greater success down the future.